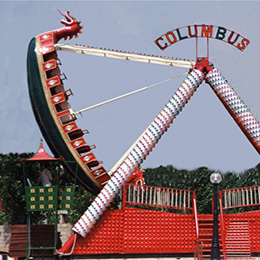 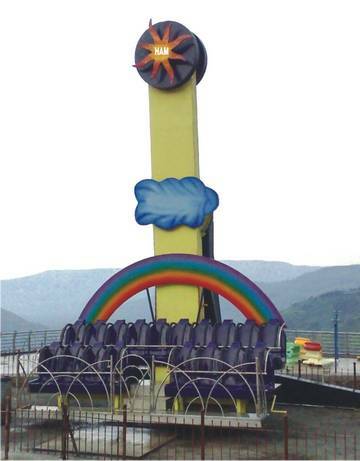 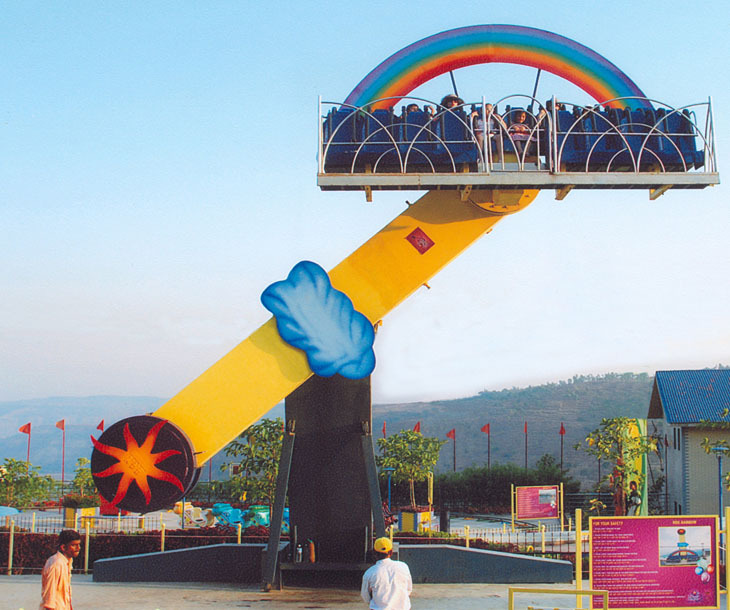 This ride has a seating arrangement for 18 adults and the movement of ride is thru the center axis on a single vertical column at a height of 5M, and a truss suspended thru it hold on craft at the bottom. 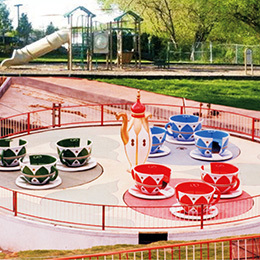 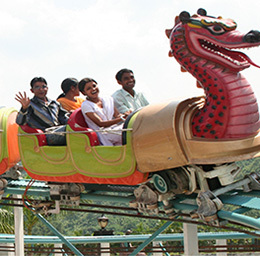 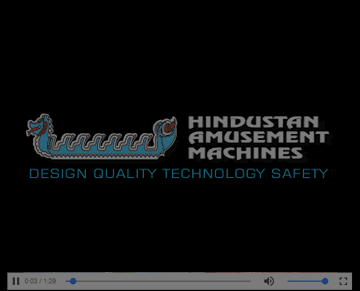 The craft is mounted on its own axis which is locked with central axis thru a chain sprocket mechanism , which keeps the craft parallel to the ground and this is a crucial part of the ride. 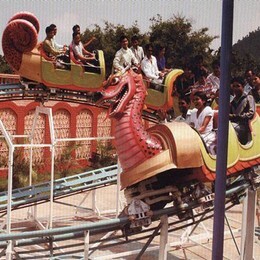 This ride is fully automatic with a manual over-ride option with the operator.